We are very happy to announce the first of our keynote speakers for the Philosophy of Computer Games 2017 – Mark Silcox! Using this opportunity, we would also like to remind you that we are waiting for your abstracts and workshop submissions till the 1st of September. Mark Silcox was born and raised just outside of Toronto, Canada. He received his MA in Philosophy from the University of Toronto and his PhD from The Ohio State University. He is currently Professor and Chair of Humanities and Philosophy at the University of Central Oklahoma. He has worked as a freelance writer in the video game industry, and was on the design teams for the Nintendo 64 Game Aidyn Chronicles: The First Mage and the MMORPG Earth & Beyond. 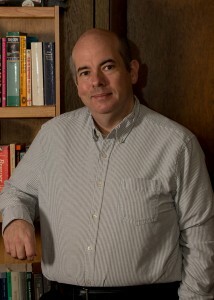 He is a co-author (with Jon Cogburn) of Philosophy through Video Games (Routledge, 2008), and co-editor (with Jon Cogburn) of Raiding the Temple of Wisdom: Philosophy and Dungeons & Dragons (Open Court, 2012). His most recent publication in philosophy is an edited anthology of papers entitled Experience Machines: The Philosophy of Virtual Worlds (Rowman & Littlefield International, 2017). He is also the author of several works of interactive fiction, a couple of storytelling games, and the SF novel The Face on the Mountain (Incandescent Phoenix, 2015).